(CBS) LOS ANGELES-- The city of Los Angeles offered gift certificates to local grocery stores to residents who turned in their guns as part of the annual gun buyback program on Dec. 26, reports CBS Los Angeles. The program was moved up by city officials from May 2013 to Dec. 26 due to the Conn. elementary school shooting that left 26 dead, including 20 children. Mayor Anthony Villaraigosa credited the gun buyback program, which allows residents to turn in weapons with "no questions asked," with getting close to 8,000 firearms off the streets. Since the inception of the program in 2009, there has been a 39 percent drop in gang crimes and 33 percent drop in shots-fired calls, translating into 241 fewer people shot in the city, according to the mayor's office. Residents were able to anonymously turn in their firearms from at the Los Angeles Sports Arena and the Van Nuys Masonic Temple. Officials asked that the guns be transported unloaded and in the trunk of a vehicle. CBS Los Angeles reports that the city offered Ralph's gift cards up to $100 in exchange for handguns, shotguns and rifles, and gift cards up to $200 for Calif. classified assault weapons. 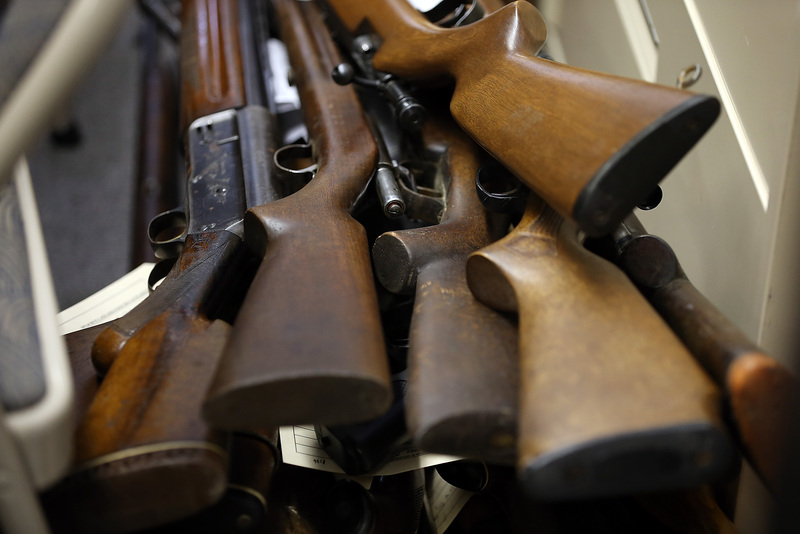 The city netted 1,673 firearms, a four-year low, at the buyback program last May. Authorities recovered 53 assault weapons, 791 handguns, 527 rifles, 302 shotguns and one anti-tank rocket launcher, according to the station. Police also reportedly apprehended a pair of pocket pistols worth an estimated $2,000 and an illegal belt-buckle pistol. The buyback event was hosted by the Los Angeles Police Department and Mayor Villaraigosa's Gang Reduction and Youth Development Program.